What is a Food Hug? There is nothing more loving you can do for a person than send a nourishing and delicious meal. 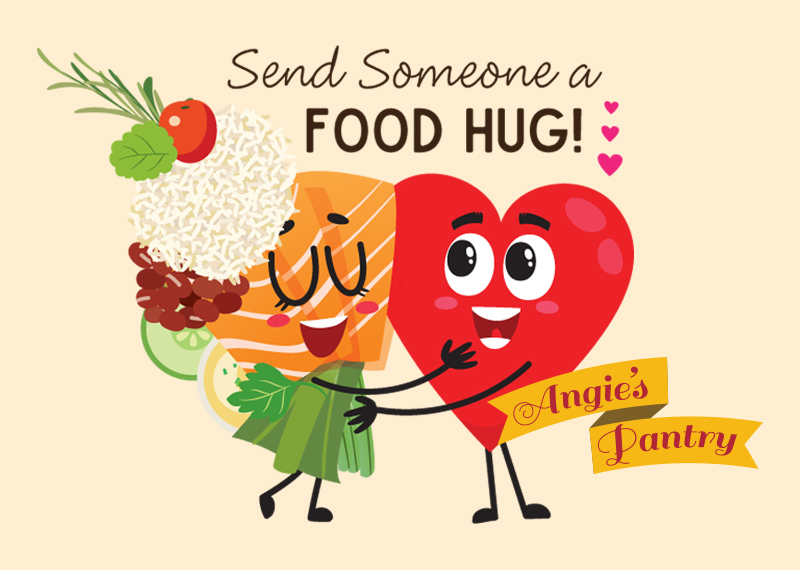 An Angie's Pantry Food Hug is an e-gift certificate the recipient can redeem for the meal of their chooosing. It's a great way to celebrate a birthday or new job, support someone during a difficult time, help take care of a brand new mama, or anytime you want to show someone you are thinking of them! Our Food Hugs can be purchased for any amount. Show that special person you care with a Food Hug! To order, please contact Angie at Angie@angiespantry.com or call (708) 434-5742. We believe in serving nutritious and healthy meals that taste AMAZING. We're armed with the knowledge of how to NOT sacrifice taste when cutting calories or unwanted sugars, oils and fats. There's nothing better than a homemade meal, and Angie's Pantry knows that. We put a little heart into every meal we make. Angie's Pantry staff are all local women, who craft meals together in our space at 809 South Boulevard in Oak Park. There's no better way to show someone you care than with a freshly prepared meal. Click on "Food Hugs" to learn more about these gifts from you and Angie's Pantry.